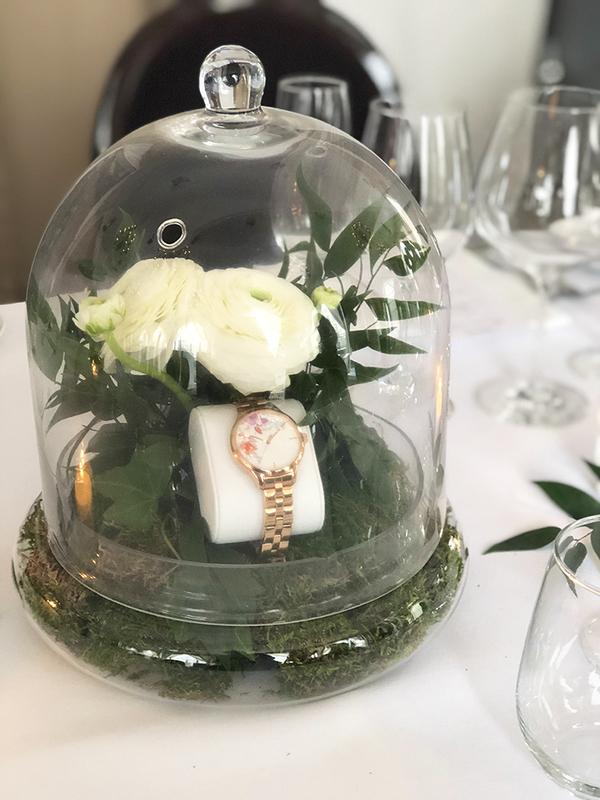 A few weeks ago, I was in NYC for the launch of the Timex Crystal Bloom Collection! We hosted a dinner at the beautiful Nomad hotel. 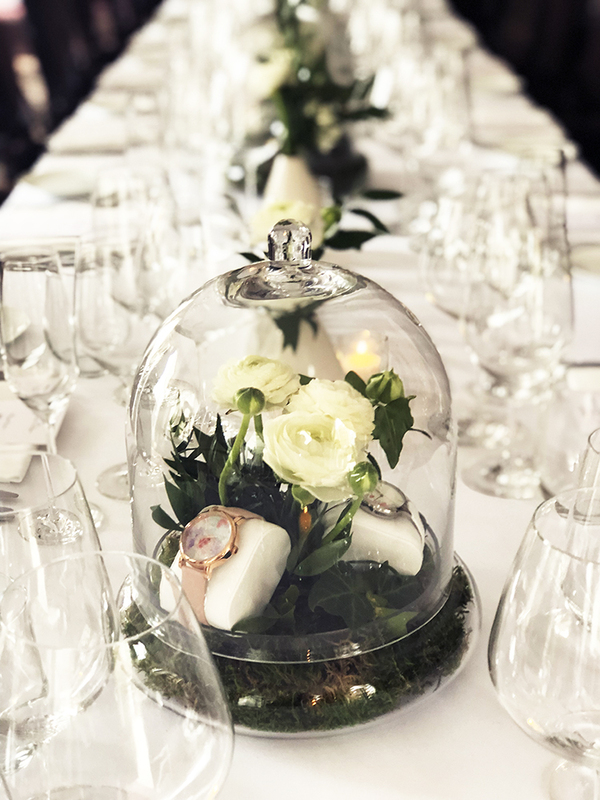 The table had these cloche centerpieces filled with lovely white flowers and the watches. This collection is perfect for spring with the pastel colors and Swarovski crystal flower detail on the face. I love NYC in the spring time, everyone is always outside enjoying the weather after the long cold winter. There is so much to do, see, and most importantly eat! Here are some more of my favorite NYC hangout spots! Quality Italian – You have to get the chicken Parmesan pizza, its incredible. Carbone – Carbone has this parmesan wheel that they come over to your table melt right onto your plate—its unreal. I also love their house made pastas. Scalini Fedeli – I highly recommend checking out the wine and tasting pairing experience. They do a wonderful job. Sushi Zoe – Go in and order the omakase, let them pick for you! Gato by Bobby Flay – Bobby is a friend of mine and he brought out all the signatures dishes. I cannot pick just one thing! The Original Shake Shack (Madison Square) – Iconic experience, I go for the burger and fries with a chocolate shake. Cafeteria (open 24/7) – NYC is the city that never sleeps, so try out this late night snack at any hour of the night. Viceroy — My favorite cobb salad of all time. Greenwich Hotel — One of my favorite spas in NYC. They also have an indoor pool is amazing, its very relaxing and the staff is incredible. 1Hotel — One of my favorite things about 1Hotel is the free fruit in the lobby, perfect for when you are on the go! Edition — This hotel smells so good! I know that seems bizarre to remember, but check this place out next time you are in the city and then let me know what you think of the aroma. They also have faux fur blankets on the bed which are so nice to cuddle up with especially in the winter. 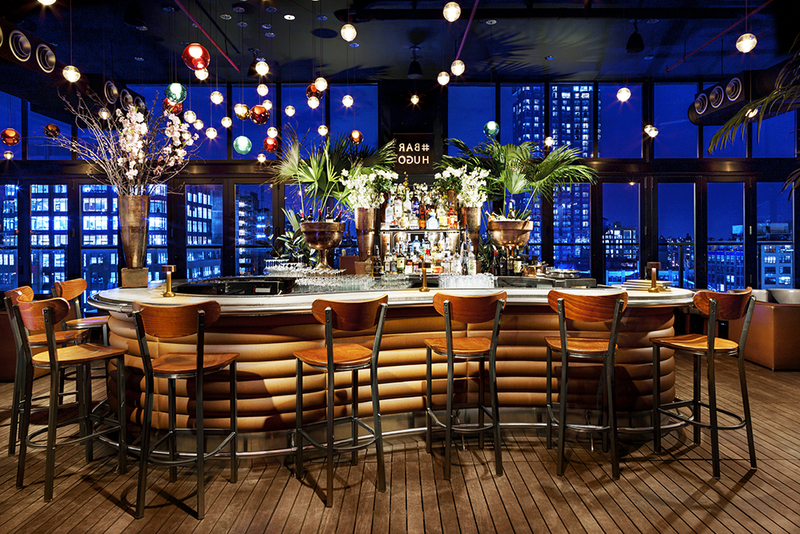 Hotel Hugo — Hotel Hugo has a rooftop bar called Bar Hugo that is a great place to meet up with friends for a drink. One of my favorite spots to go for happy hour in the summer and look at the view while the sun sets. What are your favorite places to visit in NYC? Comment with your top picks!